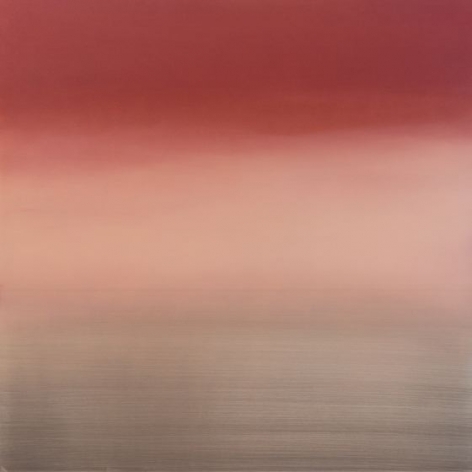 Sundaram Tagore is pleased to present 72 Kō (Seasons), an exhibition of new and recent paintings, works on paper and leaf mandalas by New York and Los Angeles-based artist Miya Ando. Informed by the 72 seasons of an ancient Japanese calendar system, in which subtle, periodic occurrences of the natural world mark the passing year, the work in this show expands on the artist’s ongoing exploration into concepts of time and transition. This show comes on the heels of a tremendous year for the artist, whose work was featured in numerous museum exhibitions, including at the Los Angeles County Museum of Art and The Noguchi Museum in 2018. Additionally, Ando’s work is currently on view in public spaces, such as the Los Angeles International Airport and the San Francisco International Airport, and her wrapping of the Versailles Hotel in mesh clouds for the Faena Festival was one of the most talked about site-specific installationsduring Basel week in Miami. This year promises to be even bigger, with more special projects and exhibitions coming up, including a show at the Corning Museum of Glass in early May. The centerpiece of the exhibition—and the inspiration for the show’s title—is a vibrantly colorful, large-scale installation comprising 72 small, light-reflecting metal paintings arranged in a chronological grid. A meditation on temporality and transition, 72 Seasons is a visual expression of the Japanese calendar system (by way of China), in which there are 24 seasons that are further segmented into 72 seasons per year, with each season paying homage to nature’s fleeting beauty and the passage of time. “I’m investigating this as a practice of acute awareness to time via minute and subtle observations of nature,” says Ando. 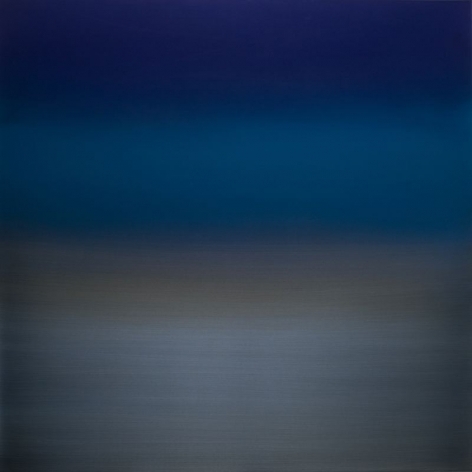 “I’m incorporating transitions into the lexicon as I examine a much more detailed time system than our traditional four seasons.” In breaking down the familiar structure of time, Ando draws awareness to seasonal shifts in weather, temperature, light and natural phenomena, which she articulates through form and color. 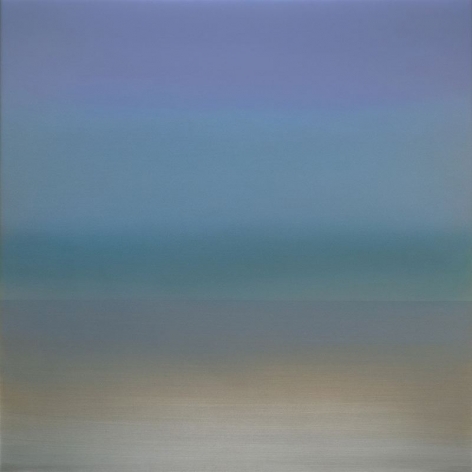 Additionally on view will be a selection of paintings on metal from Ando’s Kasumi (Mist) series, which centers on transience and offers sublime, abstract renderings of the mutable atmospheric condition the title suggests. 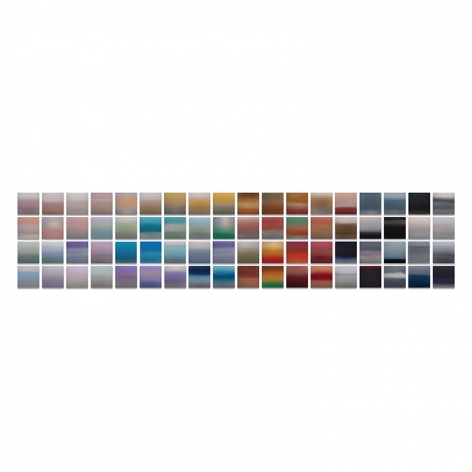 Here, the palettes are soft and muted and the gradual shift between colors is nearly imperceptible. Ando produces these luminous gradations of color by painting multiple layers of urethane and pigment into the surface of the aluminum. Alongside the Kasumi works, several of Ando’s Kumo (Cloud) paintings will be on view. 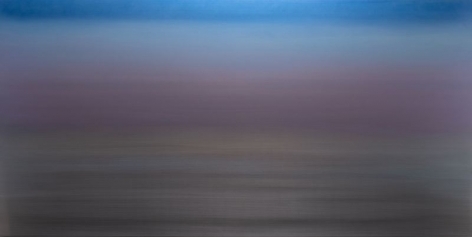 Capturing the evanescence of clouds shifting from one moment to the next, this body of work encapsulates one of the core concepts of the artist’s practice: the nature of reality is that all constituent forms which create the universe are temporary—an idea rooted in both Buddhism and quantum physics. As with many of her works, Ando expresses her concept using industrial materials, in this case, brushed aluminum composite for the canvas. The metal’s textured surface compounds the mercurial quality of light. 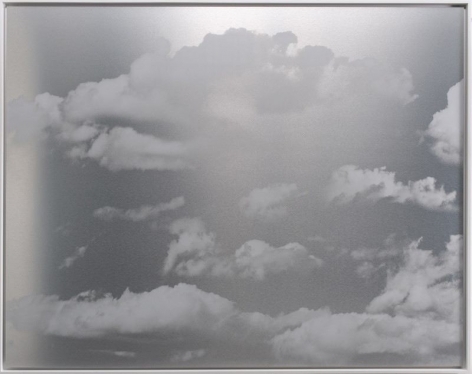 The clouds are rendered with matte ink, which gives the overall effect of light emanating only from the negative space—the metal surface—in the same way light radiates from the sky. 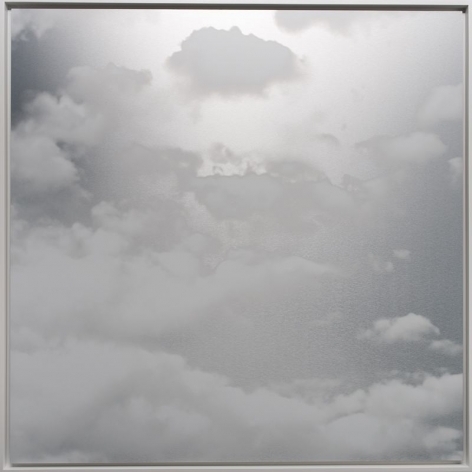 One of the works from this series, Cloud 6 (Kumo), was exhibited in Atmosphere in Japanese Painting (2017) at the Los Angeles County Museum of Art and is now part of the museum’s permanent collection. Ando also explores ideas of transition with her mandala works, where she uses skeleton leaves from the Bodhi (Ficus Religiosa) tree, the species under which The Buddha gained enlightenment, to form the compositions. Each leaf is treated, dyed and assembled into a gradient of color, suggesting transformation and the changing seasons. In Buddhism, a mandala represents the universe and is traditionally used as a meditation tool. 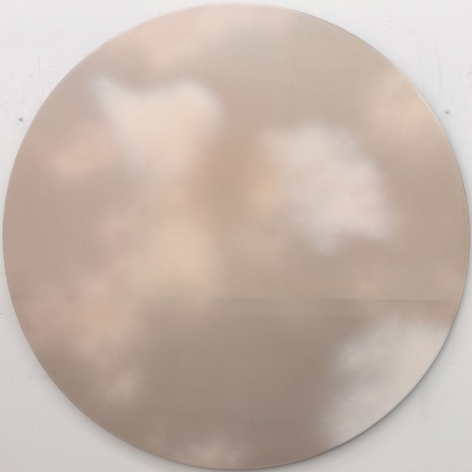 Ando’s Gekkou (Moonlight) paintings—inspired by the moon, a celestial body that emits no light of its own, but casts brilliant reflections from the sun—integrate silver leaf into a palette of soft pinks, yellows and blues to describe the subtle, light-reflective qualities of moonlight. These radiant new works expand on Ando’s concepts, but with more evidence of the artist’s hand than ever before. Collectively, the works in this show take the viewer through a full spectrum of seasons, but it’s the process of examining the individual works—interacting with them from different vantage points as a way to vary perceptions—that provides the viewer with space for quiet contemplation and an opportunity to slow down the hands of time. 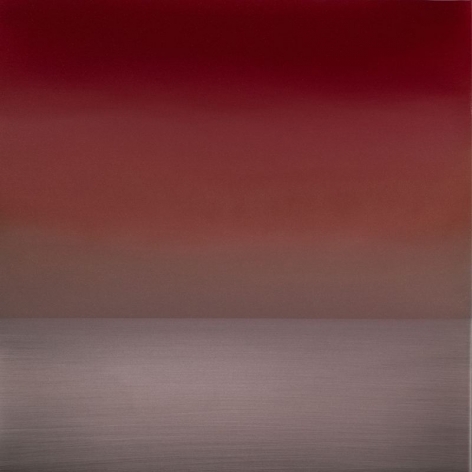 Miya Ando is an American artist who lives and works between New York City and Los Angeles. She has a Bachelor of Arts degree in East Asian studies from the University of California, Berkeley, and attended Yale University and Stanford University to study Buddhist iconography and imagery. Ando apprenticed with the master metalsmith Hattori Studio in Japan, followed by a residency at Northern California’s Public Art Academy. 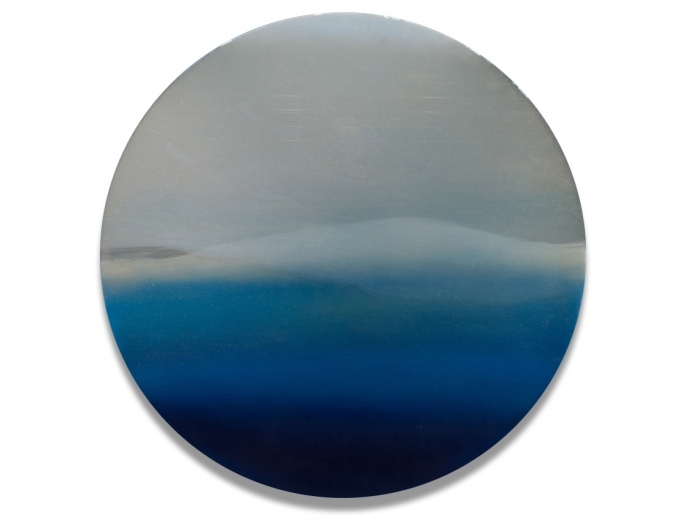 Ando’s work has been the subject of recent solo exhibitions, including at The Noguchi Museum, New York; Savannah College of Art and Design (SCAD) Museum, Savannah, Georgia; The Nassau County Museum of Art, Roslyn Harbor, New York; and the American University Museum, Washington D.C. 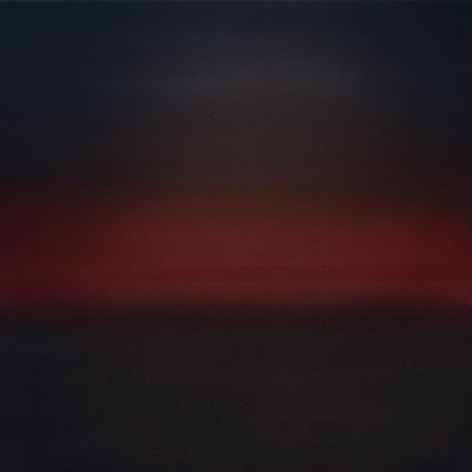 Her work has also been included in extensive group exhibitions at institutions such as Los Angeles County Museum of Art (LACMA), California; Bronx Museum and Queens Museum of Art, New York; and The Nassau County Museum of Art, Roslyn Harbor, New York. In 2015, her work was exhibited in Frontiers Reimagined at the 56th Venice Biennale. Ando’s work is included in the public collections of Los Angeles County Museum of Art (LACMA), Detroit Institute of Arts Museum (DIA), Luft Museum in Germany, as well as numerous private collections. She has been the recipient of several grants and awards, including the prestigious Pollock-Krasner Foundation Grant Award. Miya Ando has produced several public commissions, most notably a thirty-foot-tall sculpture in London built from World Trade Center steel to mark the ten-year anniversary of 9/11, for which she was nominated for a DARC Award in Best Light Art Installation, as well as for The Glass House in New Canaan, Connecticut, designed by renowned architect Philip Johnson, which is now a museum and National Historic Landmark.